While surfing is not exactly in my bucket-list (which makes me think now - should I add it in? 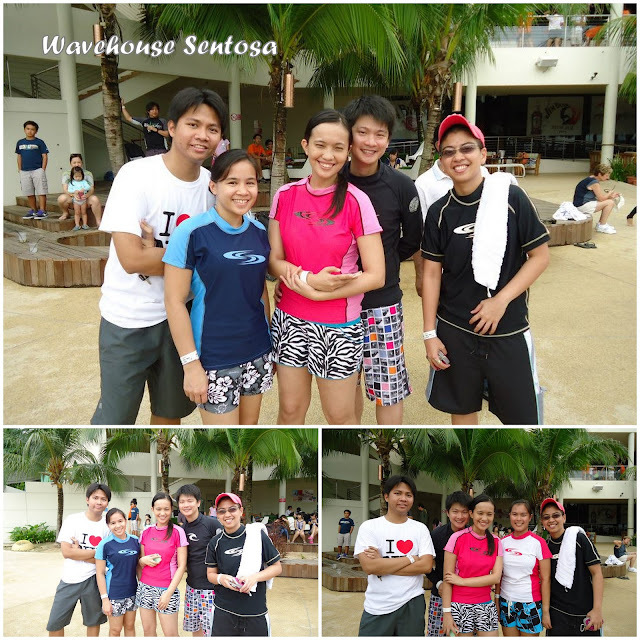 ), I have always wondered what surfers and adventure/thrill-seekers find so addicting with chasing and riding waves. We found a great deal online and here goes - the time for me to find out exactly what the fuss is all about. We were supposed to do it on the 14th, but we decided to postpone it because it was raining heavily. Come 15th, we were ready to rumble, complete with our rashguards! As I always say, "at least I'm dressed nicely, even if I don't know how to!" 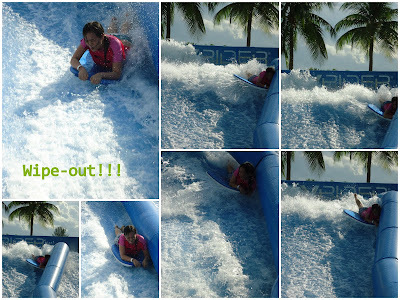 I've predicted that the back (wash-out area) will be a favorite place at the end of the session, and yes, it has been because I always fell off my board and thus, I frequented that place. haha. 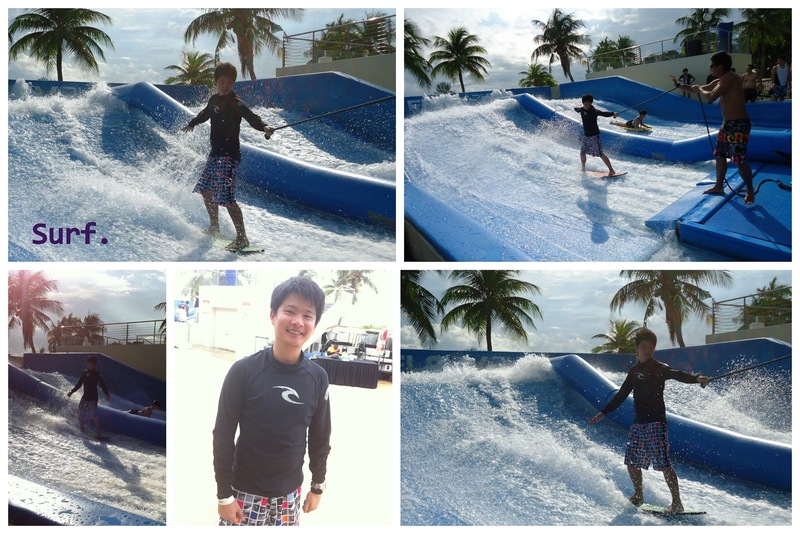 Ours was the beginner's area, and you have the option to surf or bodyboard. I chose the latter because I know my balancing skills are questionable. I had a few seconds more on the board compared to my friends who were surfing, and I'd like to think my wipe-outs had been less painful compared to theirs - so I guess I made the right choice. One hour passed by so quickly, there were 10 of us taking turns. So in an hour, I just had 4 tries or go's. Not bad, considering the body pain I had to endure for the next couple of days after. When we were done, J said he wanted to try it out again. The guy was enjoying as he was able to stand for a few seconds to a minute on the board before toppling off, which I now know is a huge achievement for a beginner. :) For my part, I'm still weighing it out if I'd put myself through that again; I admit - falling off always and spending most of the time at the wash-out area had not been fun. But then again - no pain, no gain, right? Who knows I might be better if I give it another shot?